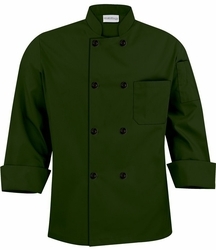 Enjoy this ultra-soft, cooler basic fit chef coat made with 100% cotton fine line twill fabric. Because this coat is not tapered and is squarer from top to bottom, compared to traditional styles, there is more room in front, waist and sides. Features double pocket on left sleeve and on chest. 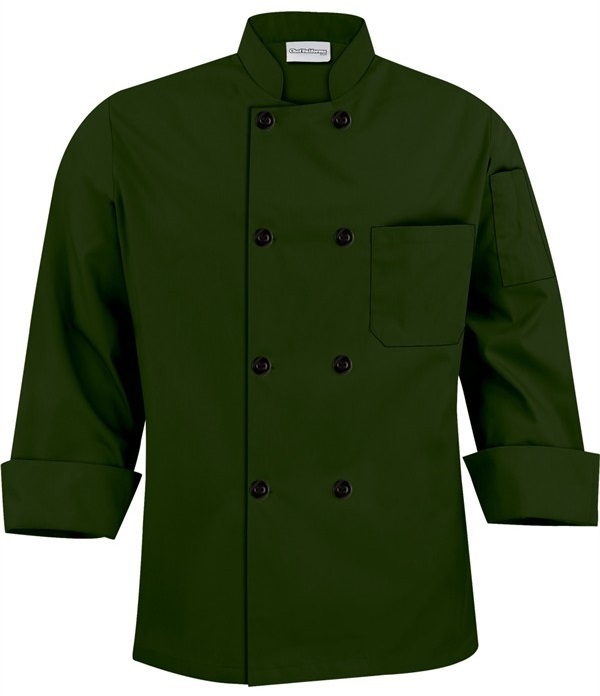 Stay cool in the kitchen and look great with these high quality durable jackets. Has black plastic buttons and a reversible closure.